Brave Little Company is theatre for everyone. We create works about, with, and for kids and their grown-ups, reflecting Houston’s diversity and empowering children to create art on their own. A community-driven theatre project led by 100 refugees. A girl and her grandfather. A bountiful garden. A hidden key. A family mystery. A classroom full of brave and inquisitive students. This is Grandpa’s Garden. 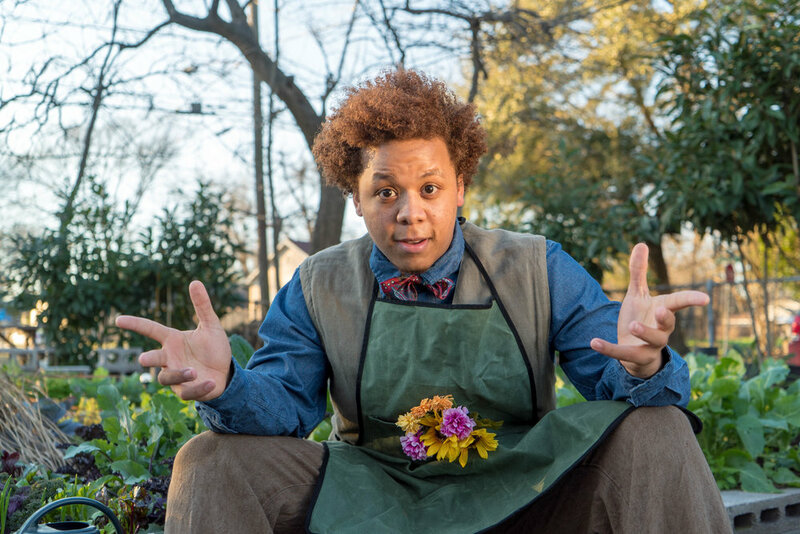 Grandpa's Garden is an interactive, musical science and history class taught by characters. Mr. Hollis, a world champion gardener, and his granddaughter Bebe are here to teach students how to grow their own fruits and vegetables. But Bebe can't stop wondering what's hidden in Grandpa's mysterious shed! Join Bebe and her Grandpa as they explore the garden - and their own roots as African-Americans in American history and long before - through song, senses, and stories. We’d love to visit your school, library, or community venue! Brave Little Company is proud to tour through Young Audiences of Houston. You can find information about this production and many other theatre, dance, music, and visual art residencies and touring assembly performances at www.yahouston.org. There are no public performances scheduled at this time. Make sure you follow us on Facebook or Twitter to get the latest updates! Contact us directly by emailing info@brave-little.com. We’d love to hear from you! Click here to see photos and videos of our previous productions.